WRAPUP: Depsite the chilly weather and a dusting of snow, about 16 MINIs participated in an early morning cruise down pothole covered Sheridan Road and Lake Shore Drive. The Auto Show was nice, and it was a bit less crowded than usual. Huge thanks to Knauz MINI for helping us out with tickets!! 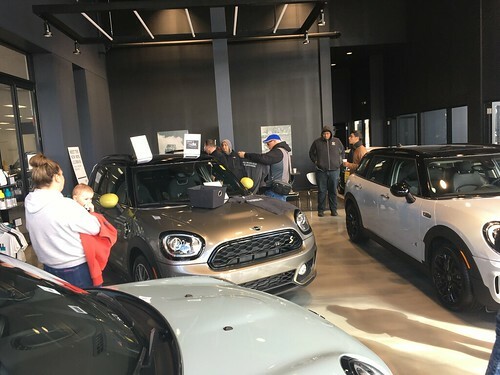 The Chicago MINI Motoring Club (CMMC) will be attending the Chicago Auto Show on Saturday February 14th. This is a perfect way to celebrate a Valentines Day morning. There are many MINI related events held around the country. Here are a few..